Flowers can be finicky—and sometimes, more watering and sunlight don't do the trick. For a healthier garden this season (and the next! 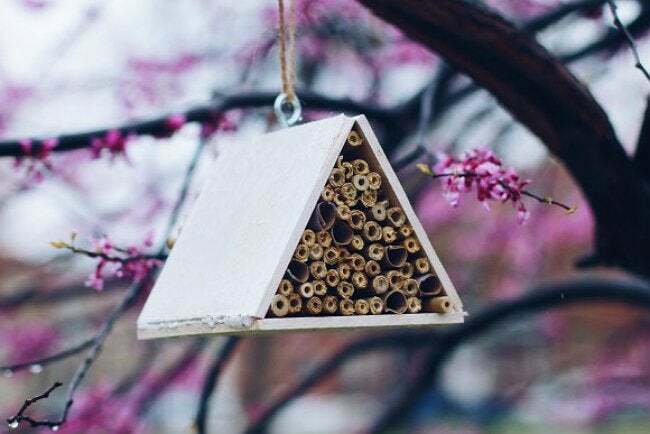 ), make this simple bee hotel to bring more pollinators into your yard. Decades ago, famed physicist Albert Einstein predicted that once the bees were gone, people would disappear, too. He died before anyone could prove him wrong or right, but today we’re closer than ever to finding the truth. That’s partly because Colony Collapse Disorder (CCD)—a condition where workers leave their hive and queen to fend for themselves—has slashed the American bee population by a third in the last five years. Researchers are still studying the cause, but the consequences are clear: Fewer pollinators for fruits, vegetables, and grains mean limited crop yield, driving up demand and food prices for everyone. Fortunately, you can do your part to encourage these hard workers to hang around. Start by planting a few of their favorite snacks in your backyard—poppies, sunflowers, and sage are all tried-and-true favorites. Once you’ve created a buzz with your new plants, make bees a home away from home like Free People blogger Julia did to keep them coming back. Her tubular design set in an A-frame made from scrap wood is inspired by real-life nests of solitary bees, often hollow stems or abandoned narrow holes bored into wood by beetles. 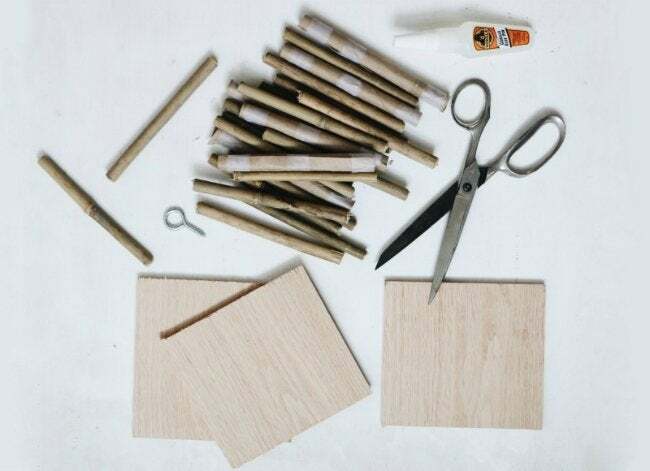 In her DIY, however, she used bamboo shoots picked up at her local garden store (they’re also available in larger bundles at big-box home improvement stores like Home Depot) and a few toilet paper tubes in order to create the separate “rooms” for her bee hotel. An eye hook twisted into the top of the frame allows her to string the whole structure over a blossoming tree branch in her backyard. The brilliant repurposing—plus its placement near flowers that need pollinating—make this an irresistible rest stop for most wild bee species. There are lots of things you can buy to revive your lawn and garden after a long summer, but we’re a fan of keeping things simple. And if your plants are ailing, bringing in nature’s most prolific pollinators will make a world of difference.